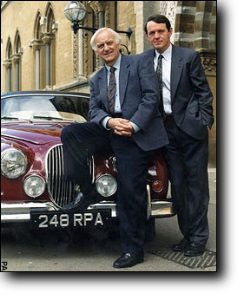 The Inspector Morse novels have been successful in both book and television serial form. The stories are set primarily in Oxford. 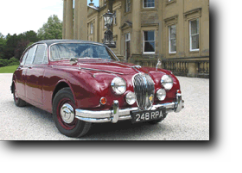 With an old Mark 2 Jaguar car, a thirst for beer, intellectual snobbery and a penchant for Wagner, Morse presents a likeable persona despite his sullen temperament. Morse dislikes spelling errors and grammatical mistakes, demonstrated by the fact that in every personal or private document written to him he manages to point out at least one spelling mistake. His approach to crime-solving, he asserts frequently, is deductive and one of his key tenets is that 'the last person to see the victim alive was the murderer'. Morse is ostensibly the embodiment of white, male, upper-middle-class Englishness. 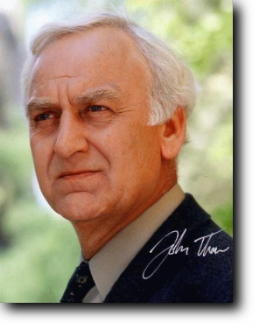 The world was saddened to learn of the passing on February 21st, 2002, of John Thaw, one of the most popular and beloved actors on British television. 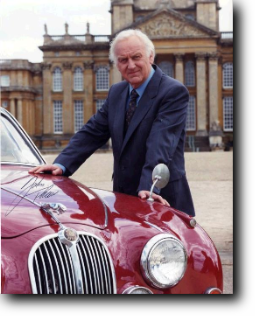 His image will be permanently linked with that of one of the most famous roles in British history, Inspector Morse, whose films have been watched and enjoyed by millions in more than 80 countries worldwide. A consummate actor of unlimited range and ability, his talent spanned roles ranging from action to drama to romance, while displaying a deft touch for light comedy. His untimely passing at the age of 60 has left a huge void than can never be filled, with the promise of his company in the years to come unrealized. We are forever fortunate that he shared his unique gifts and talents with the world, and in so doing, he left us a body of work spanning four decades for his fans to treasure and remember him by. In this way, he will never really leave us. 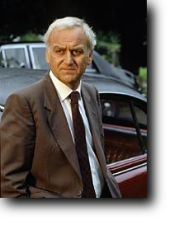 JOHN THAW. Born in Manchester, Lancashire, England, 3 January 1942. Attended Dulcie Technical High School, Manchester; Royal Academy of Dramatic Art (Vanbrugh Award, Liverpool Playhouse Award). Married: 1) Sally Alexander (divorced); child: Abigail; 2) Sheila Hancock, 1973; children: Joanna and stepdaughter Melanie. 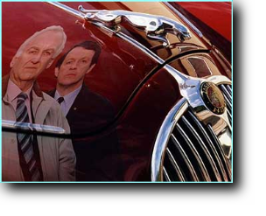 Stage debut, Liverpool Playhouse, 1960; London debut, Royal Court Theatre, 1961; became widely familiar to television audiences in The Sweeney and subsequently as star of the Inspector Morse series. Companion of the Order of the British Empire, 1993. Recipient: British Academy of Film and Television Arts Award for Best Television Actor, 1993.